Chilean and foreign applicants must present their original or legalized Chilean secondary education license before a notary. Technical degree of superior or professional level. Present a clear and legible photocopy of both sides of the identity card. Comply with the other requirements established by the University for the entrance, for the race or program in question. 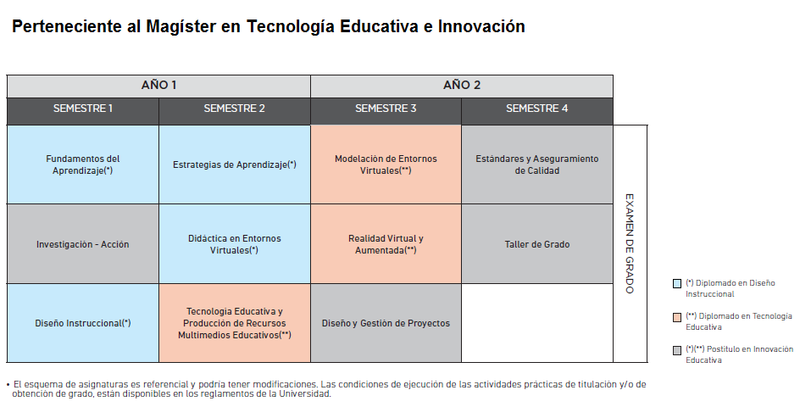 The online mode allows innovation in the construction of learning, combining the use of multiple multimedia resources (videos, interactive modules, animations, games, quiz, virtual interaction, digital libraries, videoconferences, virtual rooms, among others) through the platform of virtual learning of Universidad UNIACC . In this way, students develop their processes in a flexible way, according to their own characteristics, to favor their learning through self-management of time, making studies, work and personal life compatible, thus obtaining the maximum benefit of individual motivation. For information on the value of fees and upcoming classes, please contact the Admission Department.